The largemouth bass virus has been found in two additional lakes in Michigan's northern Lower Peninsula, following an initial discovery this past October in Cedar Lake (Iosco County). 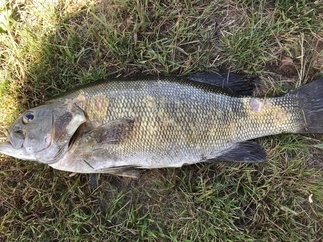 This time LMBV was found in smallmouth bass in Beaver Lake (Alpena County) during the investigation of a fish kill and in Avalon Lake (Montmorency County). These latest discoveries indicate the virus is spreading northward in Michigan. LMBV is one of more than 100 naturally occurring viruses that affect fish and is closely related to viruses found in frogs and other amphibians. Its origin and methods of spreading are unknown, but anglers are considered a likely transmission path. Anyone moving live, infected fish from one body of water to another, or using contaminated or uncleaned gear or boats in uninfected waters could easily spread the virus. LMBV is not known to infect humans, and infected fish – if thoroughly cooked – is safe to eat. Cleaning all fishing equipment between trips. Not moving fish or fish parts from one body of water to another. Handling bass gently if you intend to release them. Refraining from keeping bass in live wells for long periods of time if you plan to release them. Minimizing the targeting of largemouth bass during very hot weather. Reporting dead or dying adult largemouth bass, particularly when they’re in numbers of 25 or larger – reports can be made online at Michigan.gov/EyesInTheField. Dead_SMB_-_Beaver_Lake_-_Alpena_County_2_9-2018.JPG: Dead smallmouth bass recently were found in Beaver Lake (Alpena County, Michigan), in part due to the largemouth bass virus.